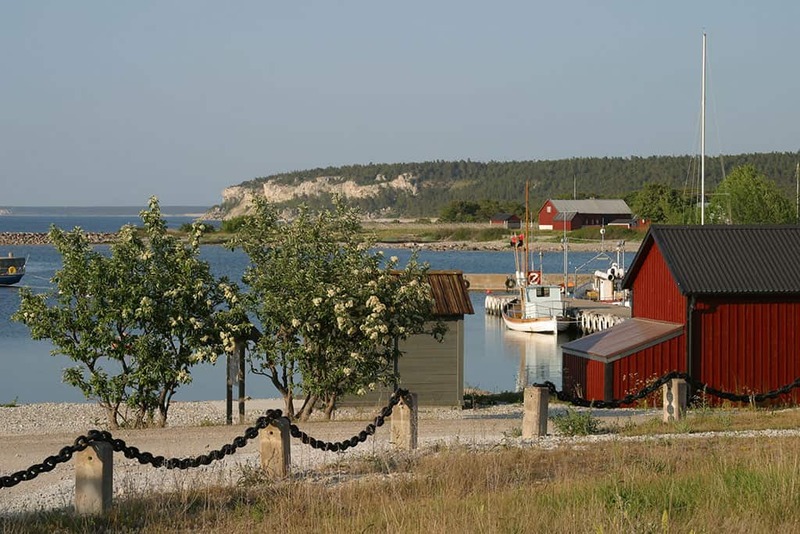 Gotland’s northern coast feature rocky limestone cliffs and vast rubble beaches. Board your coach and the tour will drive you to the countryside for a visit at one of the many medieval churches. 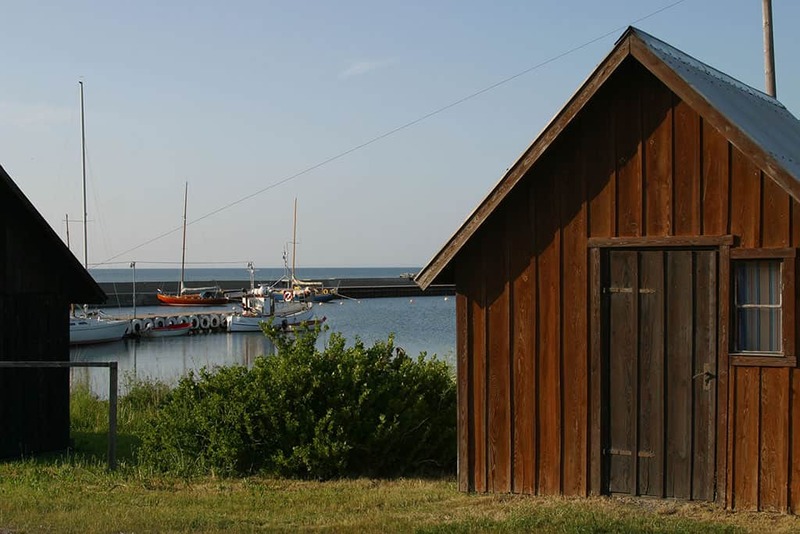 Continuing through agricultural landscape and wooded areas where sheep are grazing all year round, for a stop at the quaint fishing port of Lickershamn, where the fishermen’s cottages lie sheltered by the bay. On the hilly shore you can see the highest lime-stone rock formation on Gotland, called “Jungfrun”, the Maiden. The view of the barren coastal shore and the sea is lovely. 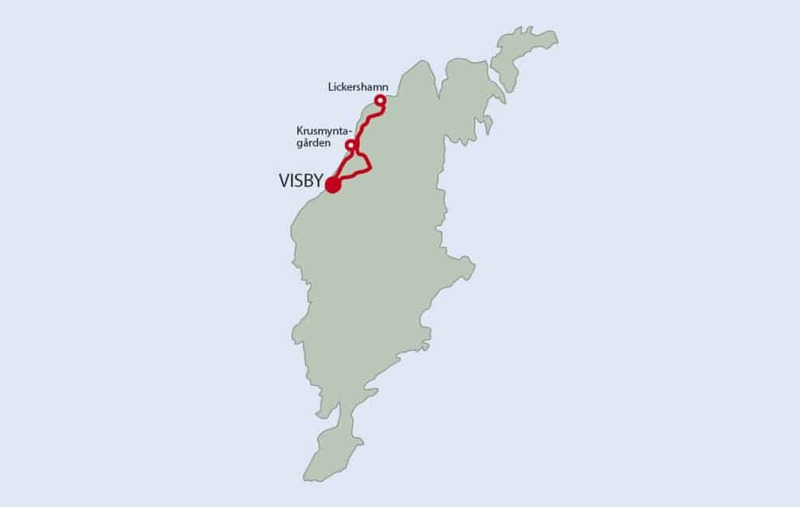 Your next stop is at the little picturesque garden – Krusmynta Gården – just by the shore at Brissund village. 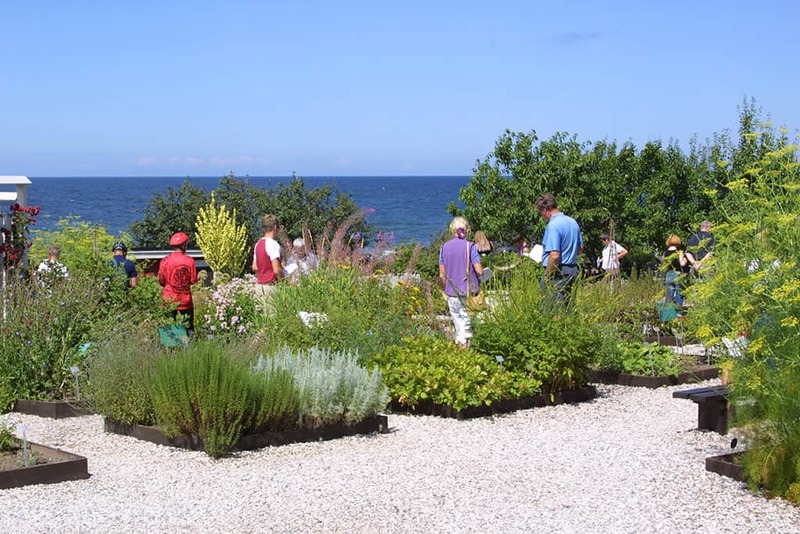 Here you can stroll in the herb-garden, shop in the little garden shop for herbs, tea, souvenirs and much more. There is also a restaurant in the area. Take a walk on the small path down to the sandy beach behind the garden. Put your bare feet in the sand and view the ocean.